HALIFAX (April 29, 2010) – This Saturday members of the Public Service Alliance of Canada will join other labour and community activists to celebrate May Day. At a Victoria Park rally, workers will make a call for workers’ rights in the context of continued job loss, attacks on wages, pensions and benefits, and assaults on public services. PSAC members will draw attention to the particular ways they have been targeted by the spending freeze contained in the Harper Conservative’s budget. Within the last month plans have been announced to eliminate 147 term and casual positions at Citizenship and Immigration Canada in Sydney and to close Canada Posts National Philatelic Centre in Antigonish at the cost of 65 jobs. Nova Scotia is also seeing a quiet program of centralization of Service Canada staff and cuts to services for the unemployed. The province also recently lost its Federal Labour Affairs Officer in Cape Breton and will lose its Human Rights Commission Office in the fall. PSAC and other Canadian Labour Congress affiliates will bring their pension campaign to May Day activities. 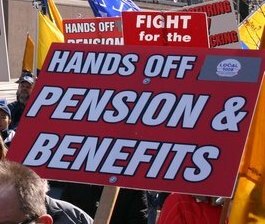 Labour is calling for the protection of defined benefit pension plans everywhere and for the enhancement of public pensions to ensure retirement security for all Canadians. PSAC members will also be traveling from Antigonish to demonstrate along side grassroots community activists, workers, seniors, youth and members of other unions like CUPE and CUPW. The rally and march will start at 1pm on Saturday, May 1st, at Victoria Park in Halifax. A Festival-Forum will follow at 2:30pm at the Mi’Kmaq Friendship Centre at 2158 Gottingen Street. [April 22, 2010] THE Nova Scotia Government Retired Employees Association (NSGREA) Provincial Executive and Regional Representatives met yesterday to discuss the proposed changes put forward by Finance Minister Graham Steele on the Consumer Price Index (CPI) as it applies to our pension. 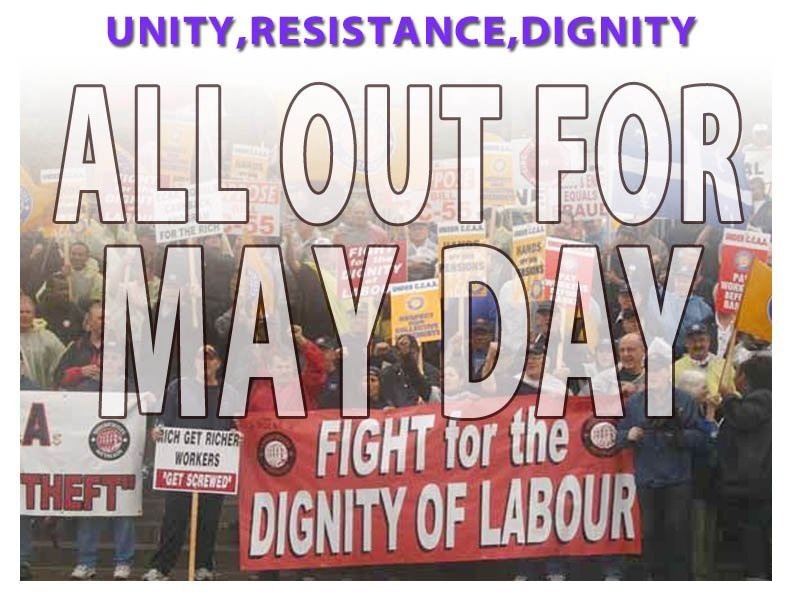 Vigorously prepare for May Day celebration!